Perhaps the most accomplished soccer player in the history of the Lowell High School program, Michael Bertos earned significant honors at the local, state and national levels during his careers at both Lowell High and later at Division I NCAA power Boston University. Mike’s achievements have served as a benchmark for future generations of Red and Gray soccer players. A four-year varsity player, Mike established both Lowell High School single season (1985) and career (1982–1985) scoring records. The 1984 and 1985 team Most Valuable Player served as Red Raider team Captain during his senior season (1985). Locally, Mike was selected as a Lowell Sun All Star (1984) and Player of the Year (1985). In addition, Mike was chosen as the Merrimack Valley Conference Player of the Year in 1985 after garnering MVC 1st team All­-Conference honors in both 1983 and 1984. During his senior season, Mike achieved several noteworthy honors. Chosen as the recipient of the prestigious John Beaulieau award as Lowell High School’s Outstanding Male Senior Athlete, Mike also was honored by Boston TV Channel 7 as a recipient of its “Super 7” award as Massachusetts’s Outstanding Male Scholar/Athlete of the week (10/85). 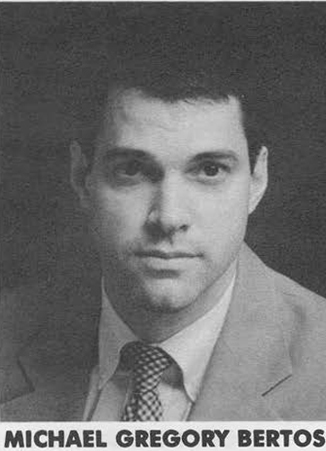 Mike was named to the Boston Globe’s All-Scholastic Division I 1st team at the conclusion of the 1985 campaign. 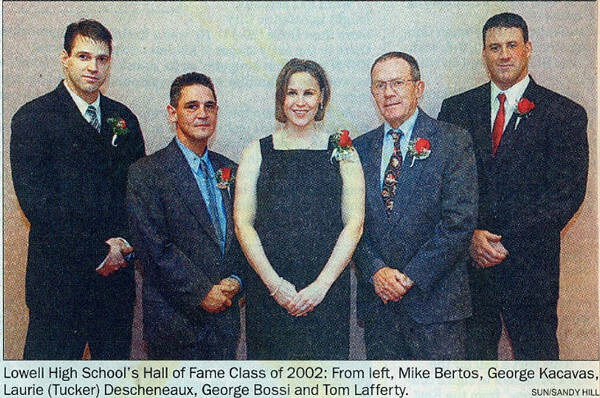 Mike was also a member of the varsity basketball and track teams during his tenure at Lowell High School. After graduation, Mike continued his exploits at Boston University. An All-New England Division I selection in both 1988 and 1989, Mike was both the leading scorer and Most Valuable Player of the highly competitive North Atlantic Conference during each of those seasons. Finishing his Terrier career as the school’s 2nd leading all-time scorer, Mike led Boston University to 2 NCAA Division I Tournament appearances. Mike served as BU’s Captain during the 1989 season. Mike was an assistant coach for the Terriers during the 1991 season. After playing soccer professionally both in Lowell and in Greece (1990–1993), Mike has successfully pursued a career in medicine. He currently is an M.D. in Lowell.